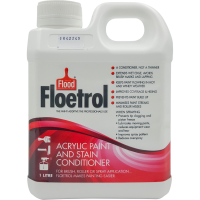 A: Floetrol is a conditioner for flat or semi-gloss acrylic paints and enamels. Adding Floetrol to acrylic paint improves the performance of the paint and keeps the projects flowing smoothly. Floetrol gives acrylic paint the flow and leveling of oil paint to enhance it performance in less-than-ideal circumstances. 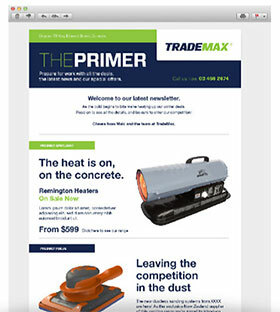 It minimizes brush and roller marks to make your paint job look better with less effort. Q: What’s the difference of adding Floetrol or water to latex paint? A: Floetrol is a conditioner not a thinner. 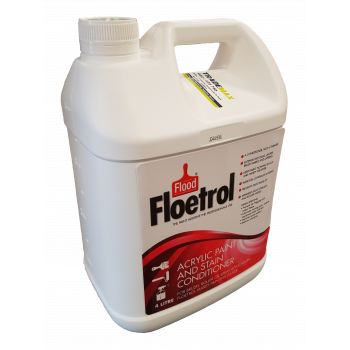 Floetrol maintains and fortifies the qualities of acrylic paint, unlike water. Floetrol also improves the coverage of most paints, providing an exceptional value for the money. It extends the wet edge of the paint, which gives you the time to create the look you want or correct the mistakes you’ve made. 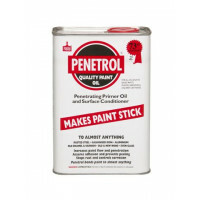 Penetrol Quality Paint Oil, 1 Litre Makes paint stick to almost anything - rusted steel, galvanis..
Penetrol Quality Paint Oil, 4 Litre Makes paint stick to almost anything - rusted steel, gal..
Q: What is Floetrol?A: Floetrol is a conditioner for flat or semi-gloss acrylic paints and enam..